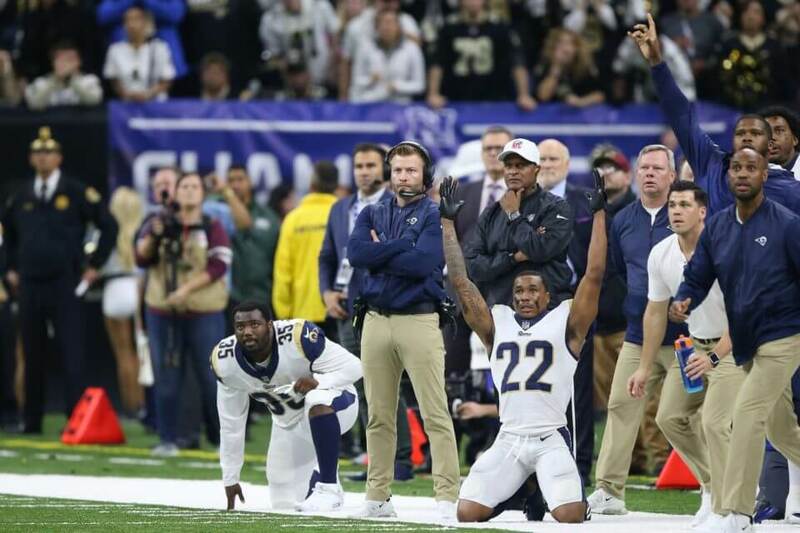 The Los Angeles Rams managed to secure a victory over the New Orleans Saints in the NFC Championship game thanks in part to an egregious no-call and it appears head coach Sean McVay is well-aware of it. Nickell Robey Coleman somehow got away with a blatant pass interference with just under two minutes left in the game. As a result, the Saints were ultimately forced to settle for a field goal and the rest is history. There has since been plenty of debate regarding potential rule changes that will prevent such an incident from happening again such as making these plays reviewable. However, it is clear that not everyone is on board with that idea. There is certainly plenty of truth to McVay’s comments. There were a number of penalties on both sides that went uncalled throughout the day, but the missed face mask on Jared Goff on the previous drive also had serious implications on the outcome up to that point. It should also be noted the Saints still had more than enough opportunities to seal the game such as when they won the coin toss to get the ball first in overtime. Unfortunately for them, the Rams ultimately found themselves on the winning side this time around.